Essential Oils and Sleep + Plant Therapy's Exclusive New Sleep Sets! Essential Oils and Sleep + Plant Therapy’s Exclusive New Sleep Sets! A night of deep, quality sleep is a great way to set yourself up for success. Unfortunately, we don’t all get the quality rest we need, which can lead to plenty of unfortunate side-effects. 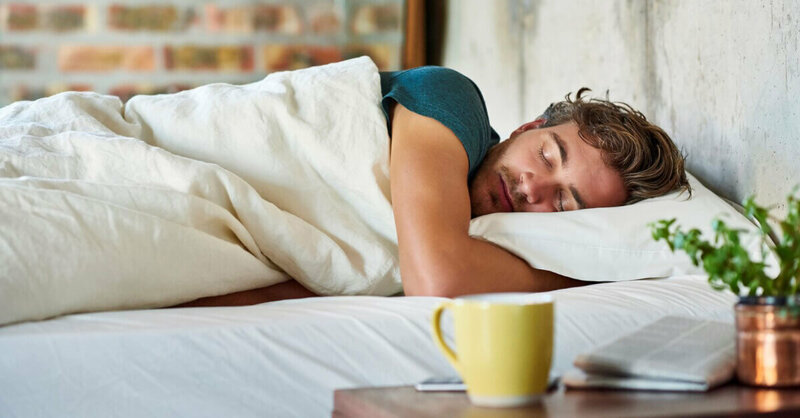 Grogginess, irritation, feeling unwell, or even just daydreaming about being back in your bed all day…this is not the recipe for an energized and productive day! But it’s just as important to your sleep to create a soothing routine before hitting the sack. Routine alerts your body to the fact that it’s time to sleep now and allows your mind to wind down. Check out a few of our fun new sleep sets (and a few handy tips) to help you get an awesome night’s sleep. Avoid screen time two hours before bed to avoid sleep-disrupting blue light. Take a warm relaxing bath with your Sleep Tight Essential Oil bubble bath before bed. Plan your exercise during the day, instead of right before heading to bed. Get lots of bright sunlight during the day to help set your body’s internal clock. Start diffusing our Sleep Tight blend in your bedroom 30 minutes before bed. Try not to drink anything right before bed. Spend a few minutes reading before you fall asleep. Make sure you have a comfy pillow and warm blanket. These tips are great for all ages! Each sleep set comes with a handy card with tips for encouraging great sleep, specifically designed with either adults or kiddos in mind! 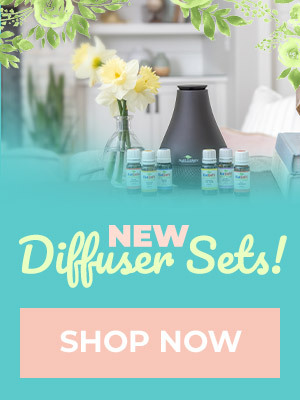 Do I have to be in the bedroom while diffusing the oil to smell the EO? Thsnks. I keep wanting to buy the Sweet Slumber set, but I’m afraid the eye mask will be too small for an adult face. That is my concern too. Have you found an answer? Thank you for continually expanding your offerings for different types of issues. It’s SO nice to have more than one sleep blend to choose from. I can’t wait to try this!! These are great looking sets. I have sleep issues as well as many others and these sets will be a great help, I’m sure. I’m trying different oil combos to find something that can help me stay asleep, but I like having a few to switch between, since I seem to need help every night. Those look like fantastic sets!!! I bought the Sleep Tight oil and it has been working wonderful for me, I have such a hard time falling asleep and staying asleep but this has helped me sleep better. I am hoping each item will be available individually eventually… would love to get the sleep masks for gifts for some girlfriends and myself. Unfortunately since I’m nursing I can only get the kidsafe set and it comes with a kid size eyemask. 🙁 still can’t wait to purchase the set, but I’ll have to give the eye mask to my 5 year old. I can’t wait to try the new Sleep Tight blend! I have added it to my Wish list. It sounds dreamy! This is a great set and also great tips! This is great information and I am adding these new products to my wish-list! Can”t wait to try them. I appreciate that you always provide educational information along with the products you offer! This is a really cool set!! How did I miss the release of this set? So fun! We love to diffuse Nighty Night to help us go to sleep from time to time! These new products sound like something this guy needs! Im one of those people who identify as a night owel, and tend to stay up later than i should. Maybe taking a nice relaxing bath using this bubble bath would help along with diffusing this essential oil blend. Looks like some amazing new products that i just cant wait to give them a try!!! Such a fun new product set! Can’t wait to try the new products! How adorable! I want both of these. Hope they’re still around when I’m able to purchase them. Will you be offering the bubble bath separately any time soon? Struggled with restless legs a ton! These tips have helped me get better sleep…thanks! These are so fun! Thanks for putting them together! I just received my Sleep Tight Set yesterday and love it. It smells very similar to Sleep Aid without the stinky Valerian under note. Hoping it works as well as its stinky friend, great addition to my sleep collection. Love the cream and bubble bath and the mask is very high quality soft silk. Homerun again PT. Oh how I love these sleep sets! And who doesn’t need more sleep?! Hopefully these will be available for a while so I can purchase! I took a look at the list of ingredients in Sleep Tight, and can’t wait to get it next month (I plan to start an Oil of the Month subscription in February, and will most likely purchase some oils to help towards the $50 minimum to qualify for free shipping :-)) The oils used in this blend sound really balancing, and most of those scents I really enjoy. I was very excited to see these as sleep is probably in our top 3 reasons for using oils and what started it all for us!! Way too many of us in the house struggle with sleep! Can anyone tell me how the scent and efficacy of sweet slumber compares to calm the child? I’m trying to decide which one to get, this set looks like it would also make a great gift! Sweet slumber is our #1 sleep blend, it is lavender free and smells sweet woodsy to me. Calming the child has a more citrus smell to me, you can smell the chamomile more in Sweet slumber than in Calming the child. I have not used CTC yet but it smells nice. These are adorable and super useful too I am sure. I hope to pick them both up soon!! My teen has some issues sleeping I know she would enjoy this!! Definitely getting after Government shutdown over!! Need to get a paycheck first…. These are some great ideas, and I love the tips at the end. I ordered both of these sets and can’t wait to try them. Saving one for travel. This is a must have set! Thank you for the tips also! These look amazing! I think they would be great while traveling. It’s always harder to sleep in foreign places. The sleep tight set looks amazing! Please give more information on the hops extract in the synergy. How is it extracted, how is it different from an oil, what is the shelf life? And what is the small metal thing, is it a case for the earplugs? Wow these sets look awesome. I look forward to getting the sleep tight set. I often struggle with falling asleep when traveling, this set is perfect. I think either of these sets will be amazing, now to decide which one to get! So excited for these sets!! 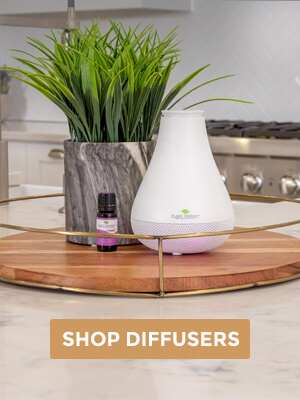 This is the perfect gift to introduce loved ones to aromatherapy! So many people I know have sleep issues and this set would help immensely! Great tips! Can’t wait to try these things! Ohh I love this idea. I have a spouse with trouble sleeping….I think I found the perfect bday gift!!! We love sweet slumber. Trying to resist a little, but still added to my wishlist. I really hope the Sweet Slumber bubble bath will be available for purchase on its own soon! Can’t wait to try it. What an awesome set! As a mom of 2 young kids, I definitely need help with getting better quality sleep. This is now on my wish list and I can’t wait to try it out! So bummed that the new sleep blend contains lavender, unfortunately lavender irritates my throat. Sweet slumber already gets used in our home. Very cute idea to sell it as a set. These look amazing! Soooooo excited to try the bubble bath! These are all so cute! I may need to get the kid one for my daughter she has a very rough time falling asleep. I LOVE love love this gift set! I just wish it was available with my favorite sleep oil, Sweet Dreams. I don’t do well with Lavender. Nice set though!! Excited to see these types of sets coming out. 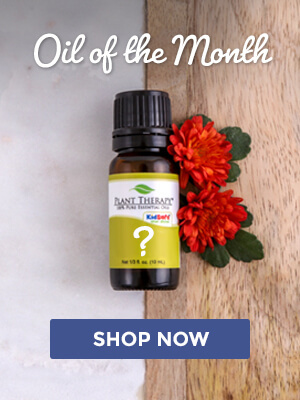 It’s a fun way to introduce new oils/products, and make great gifts! I can’t wait to try the new “Sleep Tight”! I’ve been struggling with terrible insomnia for the better part of about 8 months. The other sleep blends haven’t been working for me 🙁 . I just put both sets in my cart…one for me, one for my kiddos, but they’re going to have to wait a bit. I start grad school next week and money is a bit tight! I’m going to save all the loose pennies I can find! I absolutely love this idea! I’m super excited to try the sleep tight products and love the idea of a safe and healthy bubble bath! Is there a possibility of selling these separately in the future as some of us have a hard time coming up with that price point for the whole set? Ohhhhh PT this looks heavenly. Cant wait to try this. I have been wanting to order Lavendar Hydrosol, this is a great reason! THose are the most adorable sleep sets ever!! I love the sleep synergies i have from plant therapy a lot! And sleep tight body cream?? um wow. im excited!! I do have a question, what is that little metal thing in the sleep tight packagage? a container for the ear plugs? that is my only guess lol!! Can’t wait to try Sleep Tight!! I think I just found my next “must have” item! I need this! The eye mask and the ear plugs are nice added touch. I could have used this on my flight overseas. These sets are amazing! My daughter would love one of these! I need an oil for impulse control. Every time something new drops I want to have it! Saving up for this one. Love the kit! Is this going to be offered through the site? I have the sleep aid synergy but I’m always game to try a new sleep blend. Clearly, I need to work on my habits as well…since it’s 3am, and I’m on the plant therapy blog. Oops. Wow! What a fantastic offering this is!! I am so excited to put this on my wishlist and I can’t wait to see what other new things will be coming out! These sets are so awesome and fun! PT does it again. How did y’all know I’ve been having insomnia issues?! As I post at almost 4AM EST.. Looking forward to picking up this set and checking out the Sleep Tight blend – very interested in the fact that hops is an ingredient!